The MOJOPRO Mac OS is a powerful video encoding and live streaming software application for MacBook Pro® that simplifies the capture and transmission of live HD or SD video over multiple IP networks, including bonded 4G/3G cellular, Wi-Fi, Ethernet, and satellite links. Supporting a wide range of video sources, from the built-in camera to external webcams or SDI/HDMI cameras, the Laptop offers three main functions: Live streaming and file transfer over multiple IP networks, as well as video recording. The MOJOPRO requires a physical StreamHub Receiver or Cloud StreamHub Receiver. 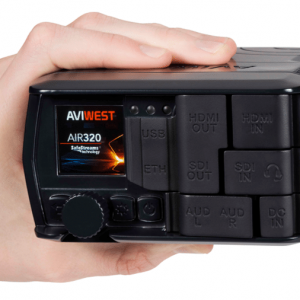 Thanks to AVIWEST SafeStreams® technology, the MOJOPRO Mac OS detects and bonds together multiple IP network interfaces. Moreover, the MOJOPRO Mac OS adapts the video encoding bitrate according to the real-time network conditions in order to cope with the unpredictable performance of IP networks and to guarantee the transmission reliability. By integrating the best-in-class video encoding technologies, H.264/AVC (and H.265/HEVC in a next release), it also enables to stream high high-quality even at low bitrate. Send a live broadcast-quality video over bonded IP networks: Ethernet, Wi-Fi, 3G/4G, and satellite networks, such as Inmarsat BGAN & GX and other KA band services. Record a high quality video file and forward it later to the StreamHub receiver and distribution platform. Forward any type of file from the MOJOPRO Mac OS to the StreamHub receiver and distribution platform. 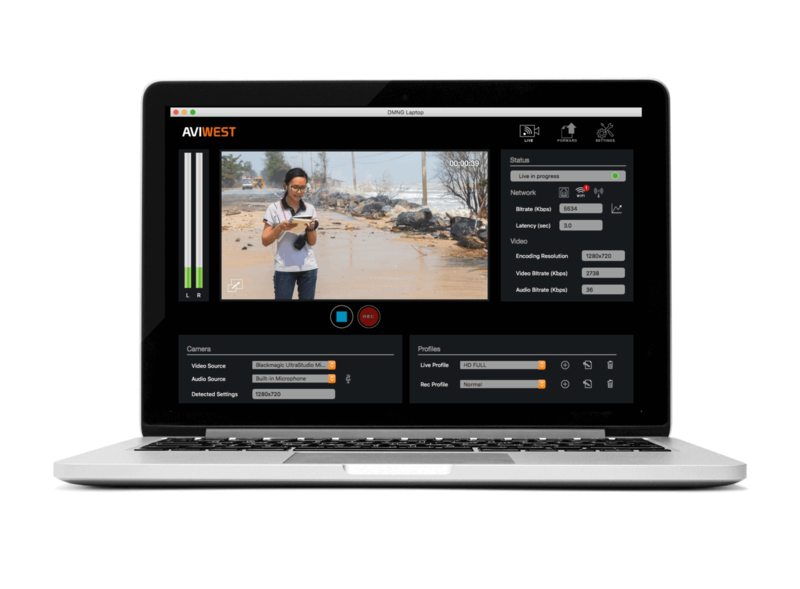 AVIWEST, a global provider of video contribution systems, has launch the MOJOPRO Mac OS, a powerful newsgathering application compatible with Apple® MacBook Pro®. By integrating an H.264/AVC and H.265/HEVC encoder into a MacBook Pro, journalists’ preferred computer platform for video editing, the Laptop reduces the amount of equipment required for newsgathering and improves broadcast video quality, enabling high-quality streaming. Using this laptop solution, broadcasters can deliver superior video quality in the most efficient and affordable manner possible. With the Laptop, broadcasters can receive video content from a wide range of video sources, including the built-in camera and external SDI/HDMI cameras. 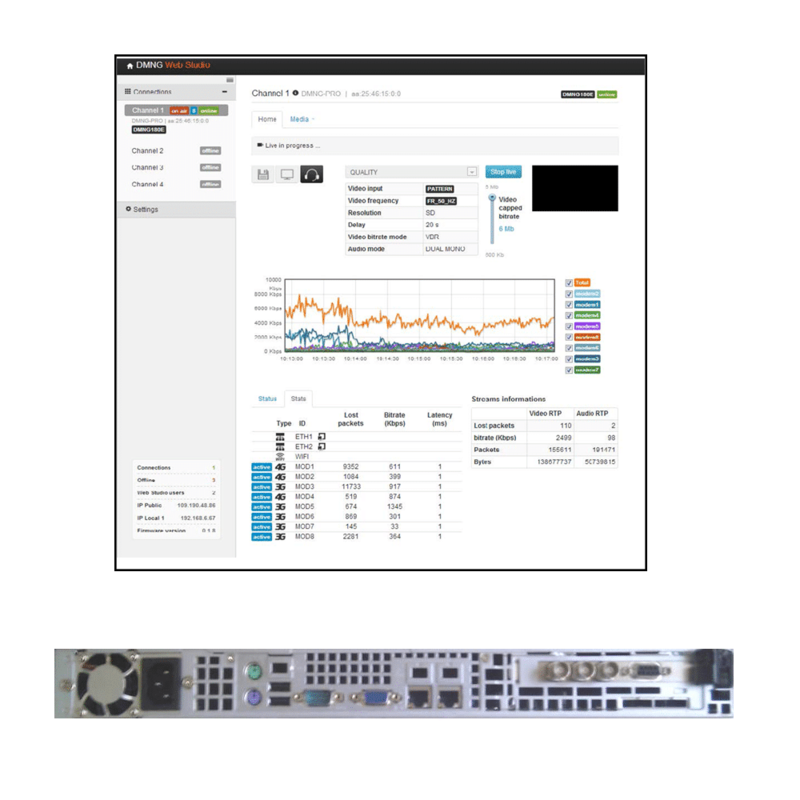 The MOJOPRO Mac OS offers an intuitive GUI that makes it easy to manage various content delivery profiles, providing support for a variety of broadcast use cases, including live streaming, file transfer via various networks (e.g., wireless, cellular, satellite, LAN/WAN, public internet), and storage. By detecting and bonding together multiple IP network interfaces, the Laptop enables users to take advantage of every IP network in their immediate area as they become available. 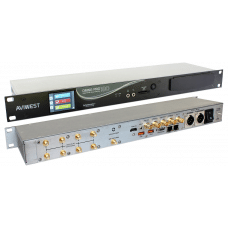 AVIWEST SafeStreams® technology assures the delivery of live transmissions even in the midst of unpredictable cellular network conditions. 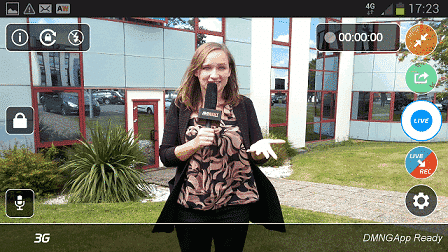 This allows mobile journalists to stream high-quality video over unmanaged networks with minimum delay. The Laptop is an essential component in AVIWEST’s complete range of digital mobile newsgathering products designed to simplify the capture and broadcast of live 4K, HD, or SD video over multiple unmanaged IP networks, including bonded 4G/3G cellular, Wi-Fi, Ethernet, and satellite links. Offering seamless integration with the company’s DMNG Manager and DMNG StreamHub receiver, decoder, and distribution platform, the DMNG Laptop transforms the way that journalists conduct live interviews, enabling flawless HEVC encoding and high-quality video delivery.